Ton Koopman was born in Zwolle in 1944. After a classical education he studied organ, harpsichord and musicology in Amsterdam. In 1979 he founded the Amsterdam Baroque Orchestra followed by the Amsterdam Baroque Choir in 1992. Both ensembles were combined into the Amsterdam Baroque Orchestra & Choir (ABO&C) in 2008. As harpsichordist and conductor of the ABO&C, he makes guest appearances at virtually all the world’s leading concert halls and music festivals. In addition, Koopman is in high demand as a guest conductor and has collaborated with many leading orchestras in Europe, the United States and Japan.Ton Koopman is artistic director of the French Festival Itinéraire Baroque. Between 1994 and 2004 Ton Koopman has been engaged in a unique project, conducting and recording all the exsting cantatas by Johann Sebastian Bach with his Amsterdam Baroque Orchestra and Choir, in collaboration with musicologist Christoph Wolff. In 2005 Koopman began working on his next major project – performing and recording the complete surviving works of Dieterich Buxtehude, an important model for the young Johann Sebastian Bach, which comprises 30 cd's and was completed in 2010. "This catchy CD should encourage every parish in Flanders to make Christmas time also musically attractive. In the dark days of December, this recording of beautiful traditional Christmas songs in the vernacular is simply a bright spot." "A choir can be so much more than singing. During Kerstspel all 330 children of Nieuw Vocaal Amsterdam are on stage at the same time." "Mozart was able to improvise tremendously and continued to play, even for hours, after concerts. Challenge Records released a new edition of such works, which Ton Koopman recorded with the Amsterdam Baroque Orchestra and Tini Mathot on the keyboard about ten years ago." "The artistic management of NVA, with pride proudly announces that they already have 330 pupils in various roles - from little sheep to star, from angel to Bethlehem citizen, shepherds and master angels ... on stage and that they want to participate every year! Add to that a fantastic storyteller with the Christmas story from Mary's point of view, three soloists (Gabriel, Mary and Joseph) and also the Amsterdam Baroque Orchestra under the direction of Ton Koopman himself, and you get an amazing Christmas play. Without a doubt a golden recording!" "Impressive Christmas play by Nieuw Vocaal Amsterdam and the Amsterdam Baroque Orchestra, lead by Ton Koopman"
"So many special CDs, Ton Koopman gets the Edison Oeuvre Award for it. The baroque conductor chooses the recordings that have inspired him the most." "What Ton Koopman, Nieuw Vocaal Amsterdam and the Amsterdam Baroque Orchestra do on their CD Kerstspel is traditional, but at the same time innovative." "Beautiful sound recording, musical composition perfectly matched with the Stein pianoforte from 1803, played by Tini Mathot." "If you don’t already have Koopman’s masses and Magnificat, here’s your chance to correct that deficiency." "The carefully prepared, firm interpretations are pleasing and fit the nice, entertaining program"
"CD of the week: Two Mozarts by the Amsterdam Baroque Orchestra"
"A prime selling point here is the premiere recording of an early version of the soprano cantata Tu fedel? Tu costante?, HWV171a, unearthed in Ton Koopman’s private manuscript collection." "Koopman's recording is very important because of the repertoire: one first recording and some other pieces which are not that well-known, in overall very fine performances." "As always the playing is at the highest level"
"''The performance is only a bit formal.''" ""You own a unique work by Händel, Ton!"" 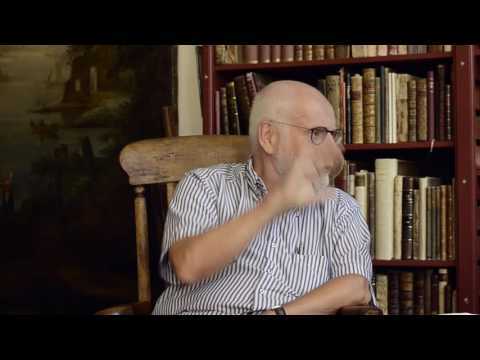 "Ton Koopman will give the prestigious Huizinga lecture at Leiden University this year." All the while the Amsterdam players are a buoyant presence, whether in the energising continuo or the beautifully turned obbligatos from oboe, recorder and solo violins.
"" [...] When Ton Koopmans hits the keyboards, He becomes inspired and the joy sparkles off from the play. As well on this CD. [...]""
"Koopman conducted his choir and orchestra with an enthousiasm that was sometimes rushed but also very contagious. " ""And then the world received the gift of a new piece by Händel."" "The sound of this particular instrument, in a relatively small space with little, is wonderful in this beautiful recording." "
""Bach junior's modest organ works perfectly fine thank you." "
""Constantin Emanuel's timbre already has a certain personility and he apparently knows what the texts he performs mean." ""It cannot be otherwise, the work, even in the most literal sence, progresses, the violists, choir members and musicians are more en more fused within this repetoire." "
"A worthy ending of an impressive monument for a great baroque master. " ""With his 15 years Constantin presents a matured, catchy boy soprano, that is close to counter tenor. This has historical rarity that needs to be conserved."" "["].. Although Tini Mathot has a very relaxed approach to pulse, I felt that this was in keeping with the style of the music - and she does generally respect Bach's ornamentation markings, and the notes that he wrote."" "["].. 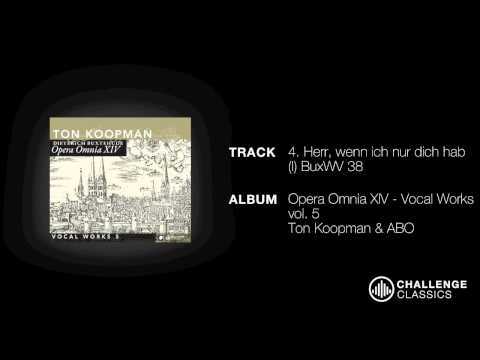 Regarding the latter, Buxtehude may wish of no better interpreter of his oeuvre than Ton Koopman. Hecan,as noother build up the tension in each work again and again. "" "The work of recording the whole Buxtehude works was worth it. The music is really impressive." ""A purchase that will keep you going till the end of the days""
""We hope that Koopman will tackle other composers with the same vigorous effort as he has Buxtehude, and are very happy that we now are able to enjoy the full scope of Buxtehude’s great oeuvre, which is undoubtedly superb music""
Buxthehude is formidable.[….] Mission accomplished. This is a precious possession for eternity.”"
“A monumental achievement Koopman has made with this project.[….] And everything is again impeccably recorded by Koopmans wife Tini Mathot and Adriaan Verstijnen.”"
""Koopman has done a monumental act with this project." "Koopman presents the works with his famous 'schwung' and rhythmical passion."" "The variety and beauty of Buxtehude's music is amazing and exhilarating"
"All these performances benefit from Koopman's lightly tripping organ continuo and the lyrically played rhetorical violin ritornellos"
"Ton Koopmann ans his colleagues have captured the essential Buxtehude perfectly (...) thank you Challenge Classic!" "This is delicate and stately music, somewhat bereft of the groundbreaking harmonic invention and emotional depth of Bach's oeuvre but nonetheless enjoyable and well recorded and performed with presence and precision." "Koopman's rhetorical and individual playing suits this music excellently"
"They are performed with flair"
"Effortless idiomatic and precise, this playing is a stand-out tercentenary tribute." "Whatever follows, the Buxtehude project is arguably Koopman's most important achievement: groundbreaking, ear-opening, comprehensive, scholarly, answering questions, raising others. But above all it sounds like a labour of love. Bravo Buxtehude - and thank you Ton Koopman!" "The from Koopman intiated and realised projekt - the recording of the complete works of Dietrich Buxtehude - is one of the most important ones of the last years." "Koopman varies them intelligently in this sequence of 10 numbers, and the performances have the unfussy directness that one associates with his music-making"